The month of February was extremely busy for FIRST Robotics Competition team 525 as bag day drew closer. We spent the month of February working on our robot while finding opportunities to participate in multiple STEM days and presentations. 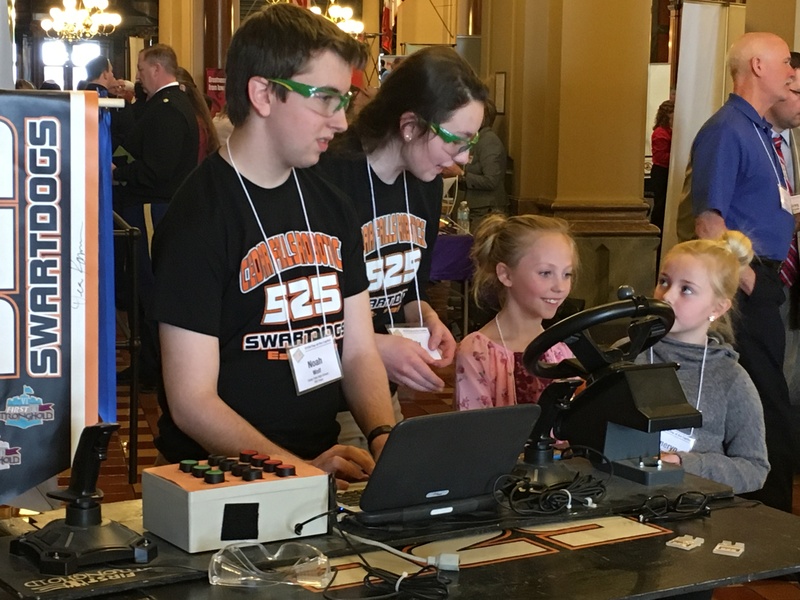 On February 16th, we traveled to the Iowa State Capitol for the Governor’s Annual STEM Day. Here, at our booth, we demonstrated our robot to legislators and visitors, showing them all of the opportunities that FIRST offers students. We also talked about the Scale-up program and how it helps FRC teams. On February 18th, we hosted a week zero scrimmage. While the scrimmage has existed for eight years, this was the first year it was called the Corn Dog Classic. 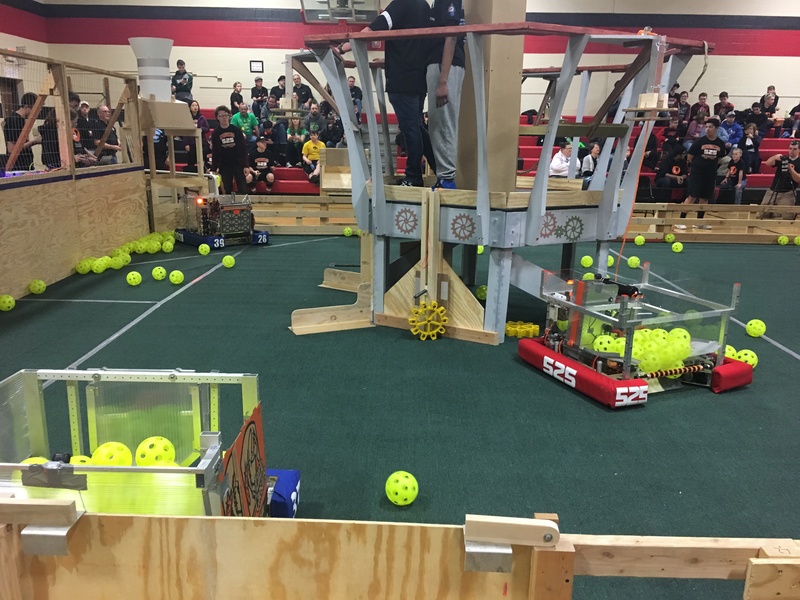 Here, 17 teams tested their robots on a full field, ran through a mock robot inspection with official inspectors, and interacted with other teams. 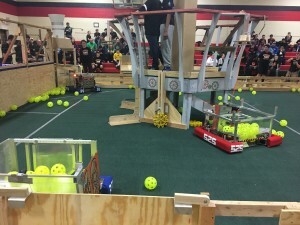 Overall, teams were given the opportunity to experience a regional competition in a low stress environment. 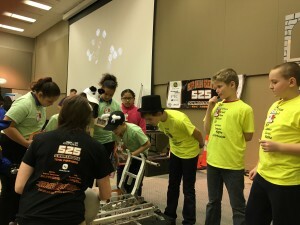 Later in February, we participated in a presentation at John Deere with other local FIRST teams. Here, we talked to John Deere employees, telling them about all four FIRST programs including FRC, the 2016 game FIRST Stronghold, and the 2017 game FIRST Steamworks. We partnered with FRC Team 5837, Unity4Tech, from Waterloo, Iowa, to demonstrate our robots. Throughout the entire month, we worked hard building and programming our 2017 robot in preparation for bag day, the Northern Lights Regional, and the Iowa Regional. As February comes to an end, we are extremely excited to participate in the Northern Lights Regional and the Iowa Regional in March.